Watch "Nightly Pop" Sundays on E! 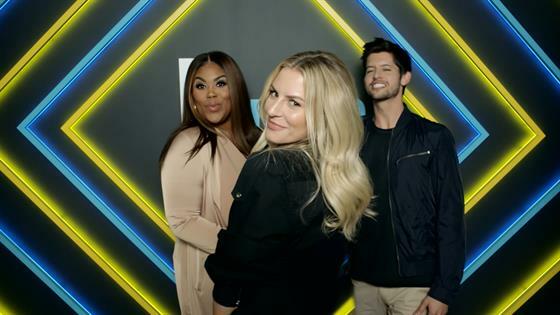 After a short post-holidays break, Morgan Stewart, Hunter March and Nina Parker are back tomorrow night for the return of E! 's too-wild-for-daytime talk show Nightly Pop. In anticipation of NP's big return on Sunday, we caught up with the three co-hosts in a little game of "Lasts." Scroll down to get to know Morgan, Hunter and Nina a little better with our hilarious Q&As. I just got a house! Everyday working with Hunter & Morgan. It's a picture of makeup I want to buy. LMAO. Specifically for eyebrows. Family group chat. My dad doesn't understand punctuation so I told him not to end with periods in texts unless he's in a life threatening situation. Wrapping paper at Papyrus. It's expensive. It's like wrapping a gift in a gift. Morgan thinks it's when I met her, huh? Lol. Genius (second season about Picasso) and The Good Place. The one where all the superheroes died? Me. The one before that? Me. Edward Enninful Editor in Chief of British Vogue. This random girl named Amy lol. Mirror selfie from earlier today in my dressing room before Daily Pop taping. I was in the Maldives last night with no phone and my best friend was an alligator (seriously). Watch Nightly Pop Mondays at 10:30 p.m. ad Sundays at 11:30 p.m., only on E!